The relatives of a 37-year-old man, who succumbed to his injuries at the Karapitiya Hospital, claimed that he died after a severe beating by Police. The man was in the custody of the Nagoda Police, when he was admitted to the Karapitiya Teaching Hospital following his arrest. Residents of the Elpitiya Kahaduwa area said that they witnessed two individuals dressed in civilian attire, claiming to be police officers, attacking the victim. The victim succumbed to his injuries sustained in the beating. 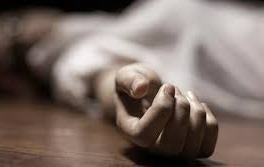 However, the Officer in Charge of the Nagoda Police Station denied the allegations saying that the victim was suffering from a disease which led to his death.